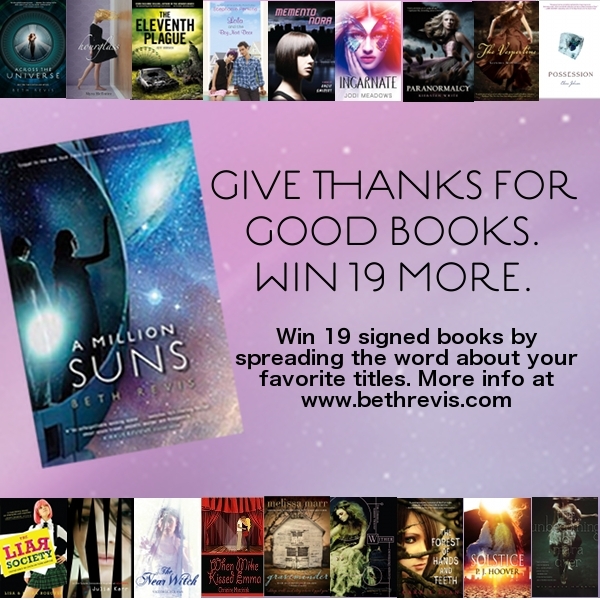 The awesome Beth Revis, author of "Across the Universe" and "A Million Suns" is having a really cool, really big giveaway this month! All that she asks for entry is for us to share with the world a book we are most thankful for. Giveaway or not, I think this is a really cool idea. I love so many books and I am so lucky to be able to read all of the great books I have, but I don't think I ever stop to really think about which books have really done something for me. So after having this question posed, I figured it would be so hard to choose, but it only took a moment and the answer seemed so obvious. I picked up this series just before a tropical storm back in 2008 and proceeded to spend the week, hiding from the storm, and tearing through the series. I'm not claiming Twilight saved me from the tropical storm, that's just silly, but it did give me something fantastic. It restored my love of reading. When I was younger I read all of the time. Once I got into my teens, boys and friends seemed so much more important than reading, so for the most part I only read what was required for school. After years of not really reading more than magazines, my love of books just kind of floated away. I sometimes wonder if my love of YA now is making up for not reading any of it when I was actually a young adult. Anyway, I picked this up because the cover blurb had me intrigued and I didn't do much of anything until I had finished all four books. After that it was like a fire had been lit inside of me and I wanted more books. So I got friendly with my local B&N and long distance BFF's with amazon.com. Since then I haven't looked back and I'm so glad, because I have found so many wonderful books and met so many wonderful people because of my love for YA. Twilight doesn't hold the same appeal to me anymore, as far as the story goes, but I will forever be grateful for picking it up those years ago. Thanks Beth! 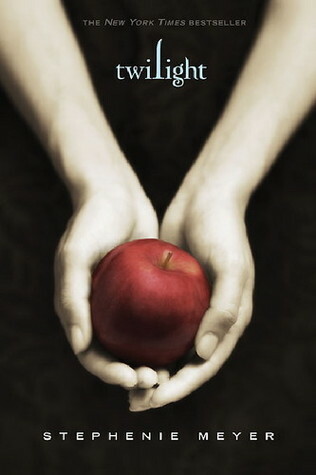 And thank you, Stephenie Meyer! Great choice. Twilight is amazing and definitely worth being thankful for!